Hats and Rabbits: "You'll still know nothin 'bout me"
Fortunately, I have a wife who does whatever the heck she wants to, regardless of my constant spewings of what is incontrovertibly wrong about the world. I really, despite my strong opinions about things, always wanted to be married to someone who respects me and who listens to what I have to say but who doesn't feel obligated to subscribe to everything I think (or to pretend to). (My experiences in early life, let it suffice to say, have brought me to this point.) I need to express, but I do not need to control or bully. It could, very well, have come out differently -- again, based on past experience that I don't wish to detail. This is all a prelude to my writing about something that my wife (who reads my blog every day -- love you, my little cheese-puff!) does participate in that I think is eminently absurd: the "selfie." Anyway: the "selfie." I just can't help it. No matter how ubiquitous it is now, I can't help but think it an absurd practice. Perhaps it is another step to my not-so-slow alienation from a world in which I am not-so-slowly becoming an elder. Sure, I get the reason for its birth: social media; the need to represent one's self pictorially in "profiles." (And, the picture does serve the practical purpose of helping people to identify the person whose profile they are looking at.) But I, personally, am locked-in: never did one, never will. (Though I have been squeezed into those of others and I have even "photobombed" a few. [By the way, I do thoroughly approve of "photobombing"].) The selfie feels weird to me and it always looks weird. Logistically, regarding the need for profile pics, I am in a good position, I suppose. As a musician, I do get "tagged" in a lot of pictures people take when the band plays, so I sometimes use them. (Which also feels weird to me, anyway: "Hey! Look at me! I'm a rock star!) Still, at least I'm not constantly bringing the world to within arm's length of me. My wife? As I said, she takes them for Facebook. And she always does nice ones; no duck lips; no direct-south shots into the neckline; no direct-north chin-elimination snaps. Why should she bow down to my discomfort with the social phenomenon? As we all know, selfies are a manifestation of image-making. Which must be okay to do; which has always been done, I am forced to say. When I put up a picture of myself behind the drums, I am doing it, to some extent, even if I didn't take the picture. Why don't we, after all, put up pictures of total reality? -- or ourselves caught on film, digging in a nostril for obstructions? Right: it's bad for our image. For years, even before digital photography, we have all chosen to shred or simply not to show pictures in which we look fat or goofy. The only difference is, now, we can sit for hours creating deceptive shots of the way we want to look. The only thing that "gets" me is that, when I see a selfie of my wife, I think: She looks nice...but not quite like herself. Maybe that is all good, though. I remember, only a few years into our marriage, she and I were standing in the bathroom brushing our teeth before bed. I looked at her and she looked at me and we both looked silly and absurd. We spit. We rinsed. "That," I said, "Is what marriage is all about." We both laughed. Reality is cool. Maybe things like selfies make our world more private than we think, in the end, by holding back something of who we really are. Maybe we all need a little time on stage, but, we all still have (and need) a private world, no matter how voluntarily Orwellian things get. My father used to get free Polaroid films that were a month or so out of date, so I used to experiment with selfies in the early 80s, distorting the truth by only keeping the best 5%. However, these days it's too depressing to be confronted with the spectacle of a balding, middle aged man. I'm amazed at how so many people over 30 are reasonably comfortable with their own faces. But good for them. Yes, I do indeed indulge in the selfie. I would like you (and others) to know that I do feel ridiculous when I do it. Which is why I always try to do it privately. It is exceedingly egotistical, self-centered and self-indulgent. Or, at least it makes me feel that way. However, on these social media sites, I am presenting myself publically. As I would prefer not to be seen by a random friend in the supermarket looking like crap, I also prefer not to be seen publically in the virtual world looking like crap either. While I don't mind looking transiently silly or bad to my friends and family in real life/in person, it's not necessarily the way I want a static portrait of myself to look, virtually or in print. So, being the vain creature that I am, I would rather be self-indulgent and get a reasonably good picture of myself rather than depend on being tagged in others' photos where I might look ridiculous. And I can never find pics of myself otherwise as I always seem to be the photographer. AND, I get bored quickly and have multiple social media accounts and various email accounts for which I need photos. So, I channel some Tyra Banks, find decent lighting, look for my best angles and have a go. Formal portraits taken by photographers rarely do justice, do they? It's no different, and maybe worse, when you are your own photographer. I try to see it as a silly sign of the times - like my hair was in high school. Perhaps I shouldn't be so concerned with my image and the way I look, but... c'est la vie. Well, like I said at the end, we all do it to some extent. Boredom can be an issue, too -- if you want to change the picture a lot, what other option do you have, really? "As we all know, selfies are a manifestation of image-making. Which must be okay to do; which has always been done, I am forced to say. When I put up a picture of myself behind the drums, I am doing it, to some extent, even if I didn't take the picture. Why don't we, after all, put up pictures of total reality? -- or ourselves caught on film, digging in a nostril for obstructions? Right: it's bad for our image. For years, even before digital photography, we have all chosen to shred or simply not to show pictures in which we look fat or goofy. The only difference is, now, we can sit for hours creating deceptive shots of the way we want to look." Also, how DARE you have a slightly divergent opinion on this? We're through. No ned to justify, my little lark. Her and Albrecht Durer, eh? 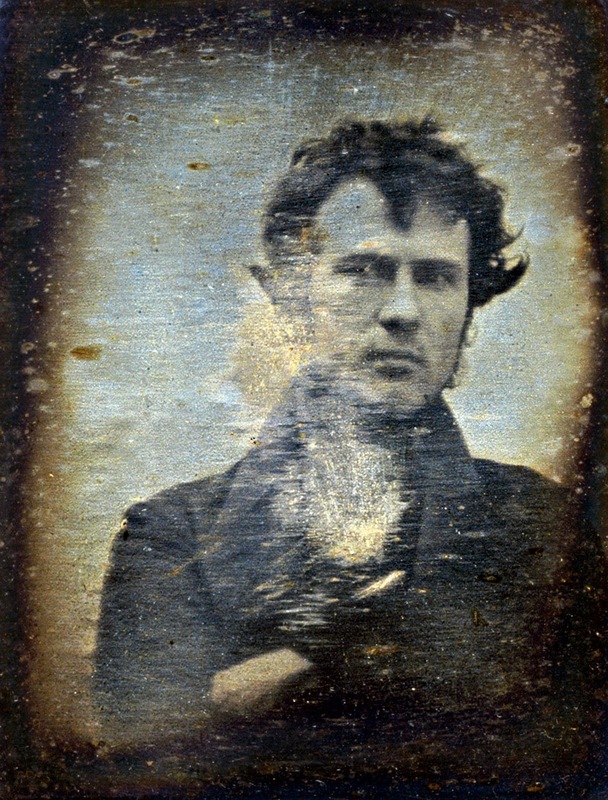 No there's your early "selfie," for sure. The only "selfies" I've taken (maybe amounting to two or three) are for the purposes of identification, so that my friends know that they've happened across the real 'lex and not some other one created in a fanfiction (a real predicament of mine, I kid you not). I feel like, for others, the "selfie" is a form of self-expression, but on the same playing field. Body language and facial expression are rather important when conveying what kind of person you want people to perceive you as, and the "selfie" is a way in which people can commit to such an expression using the same model and method. It's like wearing a uniform, but wearing one color versus another, or wearing it ever-so-slightly differently than another person. In some ways, I agree that it can be a bit self-indulgent, but in other ways, it's a pretty good way of giving everyone equal facial representation (and for me, personally, a good reference to experiment with pencil sketching profiles). Yeah, I do think, in its purest form, the selfie is functional.We all have to participate to some extent, even windbasgs like myself.